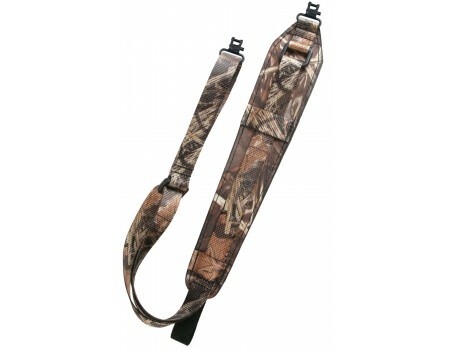 Outdoor Connection's Original Padded Super Sling has a comfortable shape conforming shoulder pad. The shoulder pad cushions the shoulder and takes out the bouncing motion of a firearm without stretching or contracting. Its innovative patented Thumb Loop allows for maximum control of the sling and firearm and provides maximum comfort by eliminating tight gripping of the sling, which leads to hand and arm fatigue.